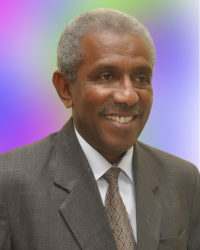 Born in Lamu in 1958. – Holds Bachelor of Education from Kenyatta University. Also holds a primary (P1) certificate from Machakos Teacher College. 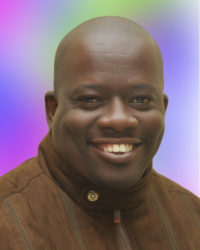 He has extensive public service experience having started as a primary school teacher. Previously he served as the Town Clerk in Chuka and Malindi Municipal Council and Lamu County Council. Before his appointment he was a Deputy County Secretary in Tharaka Nithi County. CEC – Environment and sanitation. 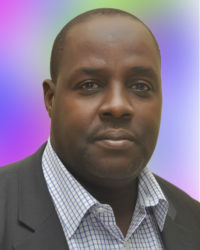 Abdu Godana Dae born in 1968 at Didewaride Location, Witu division, Lamu district in Lamu County. A father of 5 is married to an Orma lady from Garrsein, Tana River County. Godana who is from pastoralist community was raised from humble background where he was forced to go to school bear footed with one pair of uniform. He was forced to repeat for CPE National Exam despite his success for lack of school fees to join Lamu Boys Secondary School. After repeating his CPE National exam he joined Tarasaa Secondary School for O –level. He works us un-trained teacher at Kastaka kairu primary without pay before he worked as a clerk with National Assembly at parliament building. Due to high standards of living in Nairobi with low salary he was forced to left and later joined KCB where he was able go to university and also educate his young brothers. 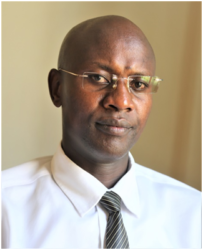 He has extensive banking and management experience having worked for large financial institution (KCB) for twenty-four years where he joined KCB as a clerk in 1991 and left as a senior manager of KCB treasury square in 2015. Before his appointment as CEC Fisheries, Livestock and cooperative development he worked as County Secretary with Tana River County. Holds a Bachelor of Commerce (Finance)-Kenyatta University. Also holds AKIB (Knec) Diploma in Banking and AKIB Associate Diploma. Holds Master of Business Administration (MBA Finance)- Kenyatta university. (graduating December 2017). After he was unable to raise fees to pursue his higher learning he secures a job from KCB where he was able to enroll in university and also educate his young brothers. While he was a manager at KCB his branch was voted as a best branch in Coast Region. In 2015 as a head of public service he was voted the best staff in Tana River County by the Governor Hussein Dado. CEC – Lands, physical planning and infrastructure development. Fahima Arafat Abdalla born in 1992 in Shella ward , Lamu county. 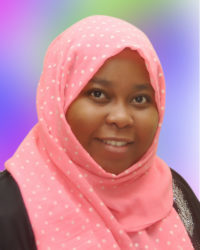 Fahima was the only lady who stood out amongst 12 applicants and was appointed to be an administrator for Shella ward. After she complited her O level education in 2009, she joined Kenyatta University. Holds a Bachelor of Commerce (Accounting) from Kenyatta University. Holds a Senior Management Course Certificate (Kenya School of Government). Also holds Certificate in Dispute Resolution as Third Party Neutral from the Ottawa based Canadian Institute for Conflict Resolution (CICR). Currently pursuing a Master of Arts in Project Planning and Management at the University of Nairobi (ongoing graduating December 2017). She worked with Rahma Logistics as an Accountant. While she was a ward administrator for Shella, with the help of the other stakeholder she was able to produce more than 600 titles for the resident of Raskitau village which were having dispute for many years. 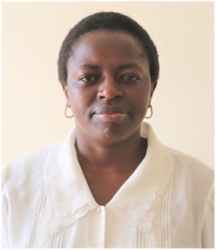 She will ensure that each and every person or family in Lamu County owns his parts of lands. Holds bachelor of Business Administration from Technical University of Mombasa. Studied at Mpeketoni Secondary School. Studied at Bahari Primary School. Worked with ministry of lands, housing and urban development as officer in charge of Lamu station, rent restriction tribunal. Worked with ministry of Housing as clerical officer in rent restriction tribunal. Worked with Bismarck valuers Limited as a clerk. Worked with Catholic Diocese of Malindi as a community resource person. Confirmation letter of permanent appointment as clerk rent restriction tribunal, Lamu station. Appointed as member of procurement Committee, Lamu West. Holds a Bachelor of medical doctor (MBCHB) from Nairobi University 1998-2003. Master of medicine in pediatric 2009-2014. Medical officer intern at coast general hospital, one year program 2004. MBAin Finance and Accounting Mount Kenya University. Bachelor of Science in Education from Kenyatta University. Diploma in Education –Kenya Science Teachers College. Diploma in Information and Communication Technology –Regional Center for Tourism. Diploma in hand ball from Pandox –Germany. Diploma in Technology and Assessment Mathematics –University of Cambridge-London. Diploma in stage 2 intermediate course in physics –University of Cambridge-London. Before his appointment he was a Commissioner Central Region with St. John Priory of Kenya. Chief setter of exam –Government of Southern Sudan. Senior Examiner in Physics with KNEC. Author et al ICT manual for EDT and eKitabu. Head of State Commendation (HSC). Innovative Teacher of the year (iToya Award). National Science and Math’s Olympiad. National Cadet First Aid & Drills. Best National Screen Dance Director 2017 and 2018. Colloquium on Teaching as ministry. Strategic Plan writer for Loreto.